Lycoming College has risen 16 spots to land in the No. 131 position on the 2019 U.S. News & World Report National Liberal Arts Colleges list, representing an ascent of 33 places since the 2017 ranking. Additionally, the College moved up 108 places to the No. 309 position in the Wall Street Journal/Times Higher Education (WSJ/THE) US College Rankings 2019, coming in at No. 117 within the Northeast region. These rankings, along with recent recognition in the Princeton Review’s Best 384 Colleges, are a testament to the College’s effectiveness in creating a 21st-century education deeply rooted in the liberal arts and sciences. This approach to higher education provides the ideal environment for students to prepare for careers in this era of rapid change driven by advances in technology and robotics where the ability to adapt and solve new problems is in high demand. One of the most widely used resources for college-bound students and their families, U.S. News and World Report annually produces college rankings that compare the academic quality of higher education institutions across the country based a range of quantitative and qualitative metrics. Lycoming College has consistently improved its performance in many of the categories and measures utilized by U.S. News and World Report. The improvements in Lycoming College’s rankings have been driven by investments in high impact initiatives such as internships, study abroad, and research with faculty. Recognizing the importance of faculty mentoring of students, the College has also improved its student faculty ratio from 13:1 to 12:1. Finally, Lycoming’s score reflects its strength in the category of social mobility, acknowledging its long success in transforming the lives of first generation college students. The College also performed particularly well in the category of Graduation Rate Performance where it ranks 10th among the 229 colleges in the national liberal arts grouping. Graduation Rate Performance compares an institution’s success in graduating students with a predicted rate that takes into account characteristics of incoming classes that are known to affect the likelihood of graduating. The WSJ/THE US College Rankings, now in its third year, has received critical acclaim for its pioneering approach that puts student success and learning at its heart. The valuable college search and evaluation resource provides students and their families with access to a comprehensive list of nearly 1,000 colleges and universities evaluated on their educational impact and lifetime benefit to students. WSJ/THE student surveys show that Lycoming students gave the College high marks for strong financial resources and small class sizes. The College also scored well for its high graduation rates and strong salaries for graduates. 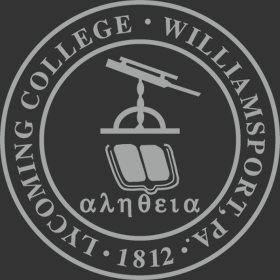 The College’s U.S. News & World Report profile can found at: https://www.usnews.com/best-colleges/lycoming-college-3293.